If you are self-employed you have the option of a Self-Directed SEP IRA, which stands for Simplified Employee Pension, for part or all of your retirement plan. In addition, a Self-Directed SEP IRA applies to small business owners, typically with up to 25 employees, who can also include a spouse, grown children, and other family members who are employees of the business. Your Self-Directed SEP IRA allows an annual contribution up to $55,000 per year for 2018, $56,000 for 2019 (per individual). Contributions do not need to be scheduled or consistent, since only a few individuals would be able to contribute $4,500 every month. This tends to be ideal for those that earn quarterly or annual bonuses in large sums since the contributions are tax-free until such time as they are withdrawn. This is where small business owners can take even more advantage of the high level of contributions allowed. Under this plan, an employer may contribute up to 25% of each employee’s annual compensation (up to $270,000 per employee) to the plan. Such a contribution, over the course of one year, would be in addition to the amount (up to $55,000/$56,000 depending on the tax year) the employee contributes as an individual. An employer can offer this, whether a corporation, partnership, or operating as self-employed. In order to be eligible, an employee must be at least 21 years of age, have been an employee of the business for a minimum of three of the past five years, and have earned a minimum of $600 in compensation. Again, this can include a spouse, grown children, and other family members who meet the appropriate employment qualifications. However, an employer is required, under this plan, to have its contribution percentage between 0% and 25% of the earnings of each employee each year. For example, XYZ Corporation allots 6% of each employee’s earnings as its contribution. Since employee earnings generally vary based on the position and responsibilities, the amounts contributed will vary from recipient to recipient. Since the amount each employee may contribute to his/her own plan also varies, operating a Self-Directed SEP IRA does not automatically mean that each participant in the same plan would have the same amount of contributions each year. A self-employed individual does not need to be an employer or part of a corporation or partnership in order to participate. Thus, a real estate broker, insurance agent, or independent contractor (for example) is able to participate in a Self-Directed SEP IRA plan as well. Suppose the owner of XYZ Corporation uses her Self-Directed SEP IRA for this purpose. Her choice is to use a portion of these funds to purchase real estate. She is able to sell a property she purchased earlier, and the sale generates a profit of $48,000. Not only does this account grow by $48,000 (which she could re-invest in real estate or any other eligible purchase). The most important thing is that this would be in addition to whatever amount she contributes for the year. Thus, if she is able to contribute the maximum $55,000 (for 2018), her total contribution to her Self-Directed SEP IRA would now be $103,000 for the year. Another advantage is that her business (XYZ Corporation) does not pay any taxes on the investment earnings within her Self-Directed SEP IRA. This reflects the impact of doing a Self-Directed SEP IRA. Because it is self-directed, you are able to invest your funds in real estate, precious metals, notes, and certain related short or long-term investments. Thus, it is not only the size of the contribution you are able to make (and possibly receive), but the ability to grow your funds through investments you elect. There is still one more big advantage to a small business owner offering this to employees, including appropriate family members who meet the qualifications. A Self-Directed SEP IRA also does not have the start-up and ongoing maintenance costs generally associated with managing a conventional 401K and/or profit-sharing plan! As a result, it is possible that thousands of dollars of annual managing and administrative fees are saved by the employer. Even if the savings were “only” $2,500 per year, over the course of 20 years it means a long-term savings of $50,000. Even without employees, many advantages remain to operating your Self-Directed SEP IRA. 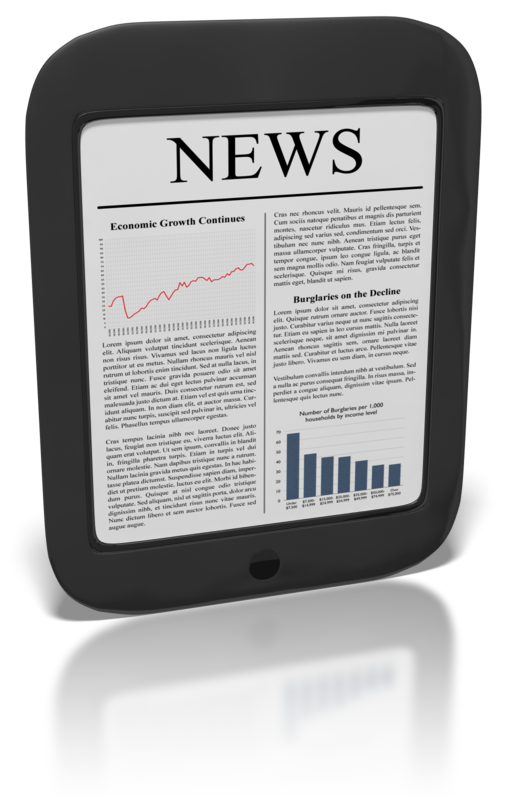 There’s a lot of press out there about the Self-Directed IRA. The problem with the IRA, however, is that while you can roll over as much money that’s already in other qualified retirement plans as you as you want you can only contribute a relatively small amount of new money each year. In 2015, most people can contribute up to $5,500 into a traditional or Roth IRA, provided they meet the income qualifications (double that amount to account for spousal IRAs, in the case of married couples where one spouse has less than $5,500 in earned income. There is a special ‘catch-up’ provision that allows individuals age 50 or older to contribute an additional $1,000 per year. But that still leaves Self-Directed IRA holders with a relatively small amount of allowable IRA contributions each year. Many of our clients find that while they are very attracted to the idea of taking personal control over their retirement investments rather than delegate it to some mediocre mutual fund or money manager they’ve never met, they would like to contribute substantially more money to the strategy. Fortunately for them, there’s a solution: the option of self-direction also extends to a number of other retirement plans. These plans allow employers to make substantial contributions toward employees’ retirement security, but they are much easier to set up than large 401(k) and other plans. 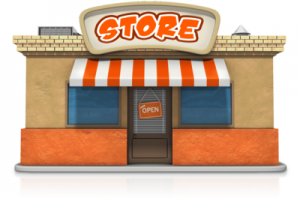 These plans are very popular among owner-employees of very small companies with no or few full-time employees other than the owner, because they allow for a contribution of up to 25 percent of compensation, or $53,000 per year (whichever is less). In most cases, that is substantially more than an IRA alone will allow. Moreover, contributions to a SEP do not negatively affect your eligibility for contributions to an IRA. You can do both. These are 401(k) plans that are specially designed for very small companies with just one or two owner/employees – commonly a married couple. These plans allow for both employee and employer contributions, and in many cases allow for even greater allowable contributions than the SEP. These plans are much easier and cheaper to establish than traditional pension plans and full-scale 401(k) plans, and also allow for substantial asset protection against the possible claims of creditors. The Solo 401(k) is also available in a Roth option. That means you can make contributions on an after-tax basis, and assets grow free of federal income taxes for as long as you live. They are also not subject to required minimum distributions. These plans are sort of a 401(k) lite, for employers with fewer than 100 businesses. Employees can make pretax contributions to these plans, and employers can make matching or flat-rate contributions on employees’ behalf (subject to certain rules). We have hundreds of small business owner clients nationwide that use accounts like these to help them direct tax-advantaged retirement dollars at potentially lucrative but unconventional IRA assets like direct ownership of real estate, gold and precious metals, tax liens and certificates, farms and ranches, partnerships and LLCs, closely held businesses, foreign assets, oil and gas, non-traded securities, private placements, venture capital and much more. If you think you can benefit from this kind of freedom within your retirement investments, and you want to take more control over your own retirement assets, please call us right now at 866-7500-IRA(472). 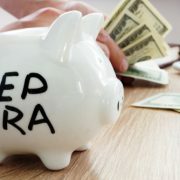 Or visit us online at www.americanira.com for much more information about all aspects of self-directed retirement investing. What sets them apart from their Traditional IRA account cousins is this: A much higher allowable contribution limit. For 2015, that means up to $53,000 per year, or 25 percent of compensation, whichever is less. (For self-employed individuals, the calculation is somewhat different because of the effect of self-employment taxes on applicable income. If all income is self-employment income, you can expect a cap of about 20 percent of compensation rather than 25 percent). The SEP IRA is one of two IRS-recognized retirement plans for small-business owners, the other primary option being the 401(k). For the sole proprietor or those with only one full-time employees, or businesses that are run by a married couple, the usual alternative to the SEP IRA is the “solo 401(k)” or “individual 401(k).” Each has advantages and disadvantages, of course. Contributions are tax-deductible to the contribution individual or business. Businesses pay no tax on investment earnings. Individuals/beneficiaries pay no income tax and no capital gains tax until distributions (except for unrelated debt-financed income tax on income attributable to outside leverage, if applicable. Call us for more information on UDIT taxes and real estate SEP IRAs). Plan sponsors are not locked into specific annual contributions. Business owners/plan sponsors have full control over whether they make contributions and how much to contribute. You may qualify for a tax credit of up to $500 per year for the first three years of putting a plan in place. Low administration costs and overhead compared to traditional pension plans and 401(k) plans. Who Should Have a Self-Directed SEP IRA? You have significant income from a closely-held business with 25 employees or fewer, or from self-employment. You can contribute significant amounts to the SEP IRA. You expect not to need income from the SEP until age 59 ½ or later. You want to defer taxes on gains and income. Have earned a minimum annual required compensation of $500. Note: If you have employees, all eligible employees must participate in the plan, including part-timers, seasonal employees, and deceased employees who died during the plan year. Suppose you own an investment property within a self-directed account and you discover it needs a new roof that will cost $30,000 to put in. If you own it in a traditional IRA, at best you can only contribute $5,500 in new money – and depending on your income, you may well not be able to contribute at all. You will have to buy the whole roof by freeing up money from within the IRA, by rolling over qualified money from outside the IRA, or by borrowing – and potentially generating UDIT tax liability down the road. Owning it within a SEP IRA allows you to potentially buy the new roof with cash, get a tax deduction for it since it’s still a SEP IRA contribution, and you still have up to $23,000 in potential contribution eligibility on top of that. Overall, it is a much more flexible vehicle for real estate investors with significant income from a business or self-employment than a traditional IRA. The same liquidity issues also apply to Roth IRAs, too, though the tax treatment is different. American IRA, LLC is a leading national expert on the use of SEP IRAs to invest in real estate. For specific information on how you can get started, call us today at 866-7500-IRA(472), or visit us on the Web at www.americanira.com. 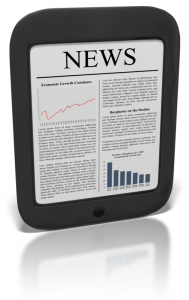 We have an extensive library of resources to peruse for the serious real estate investor available for free download. *Note: SEP IRAs are potentially subject to unrelated debt-financed income taxes on income or profits attributable to leverage. Call us or speak with your tax advisor for more information. Many people have already heard about real estate IRAs, gold IRAs, and Self-Directed IRAs in general. What is less well understood, however, is that the self-direction concept isn’t limited to IRAs. You can also gain the same flexibility, versatility and potential for diversification from other kinds of retirement plans as well – including the Simplified Employee Pension Plan, or SEP IRA. 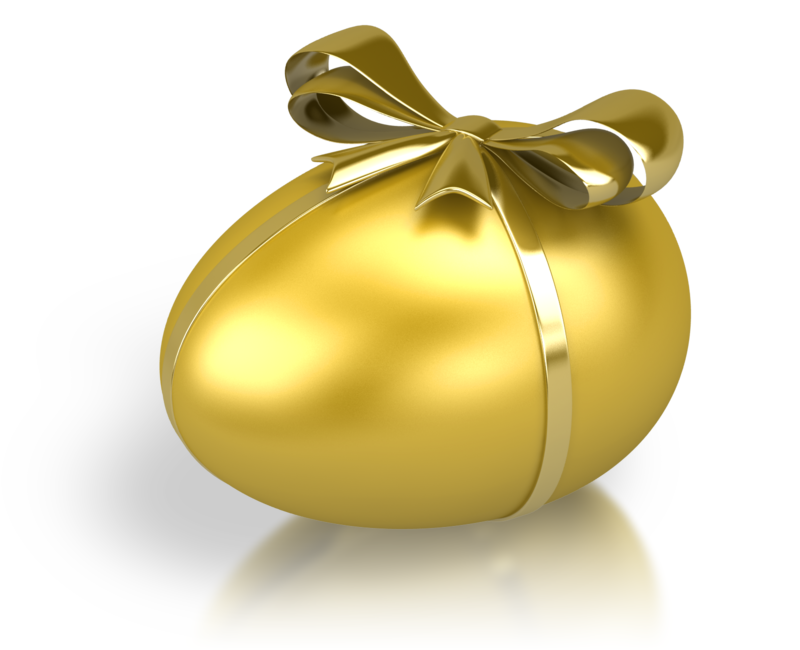 o They offer generous contribution limits that are several times higher than those for IRAs. In 2014, SEP plan sponsors can contribute up to 25 percent of compensation to their SEPs, up to an annual limit of $52,000. o They are much less expensive to set up than traditional 401(k) plans and defined benefit pension plans. o They do not lock business owners into making a specific contribution every year. SEPs are particularly well suited to self-employed individuals or owner-operators who are the only full-time employee of their own businesses, and who have a significant amount of free cash flow to invest. However, you are not obligated to invest in the SEP if you have a tough year. If you do have employees, however, and you choose to fund your own account, you must fund theirs as well. To participate in a SEP IRA, an employee must be at least 21 years old and must have worked for the company in at least three of the last five years. o Certain forms of precious metals of inconsistent purity standards. There are also some restrictions on counterparties in your SEP transactions. Specifically, your SEP IRA cannot directly conduct business with you, your spouse, your direct ascendants, descendants, any of their spouses, nor any entity controlled by them. You cannot buy from, sell to or rent to any of them, nor can you lend SEP money to or borrow from them – even if your SEP is engaged in the business of lending money. These rules are designed to prohibit the abuse of the tax advantages of the SEP IRA. 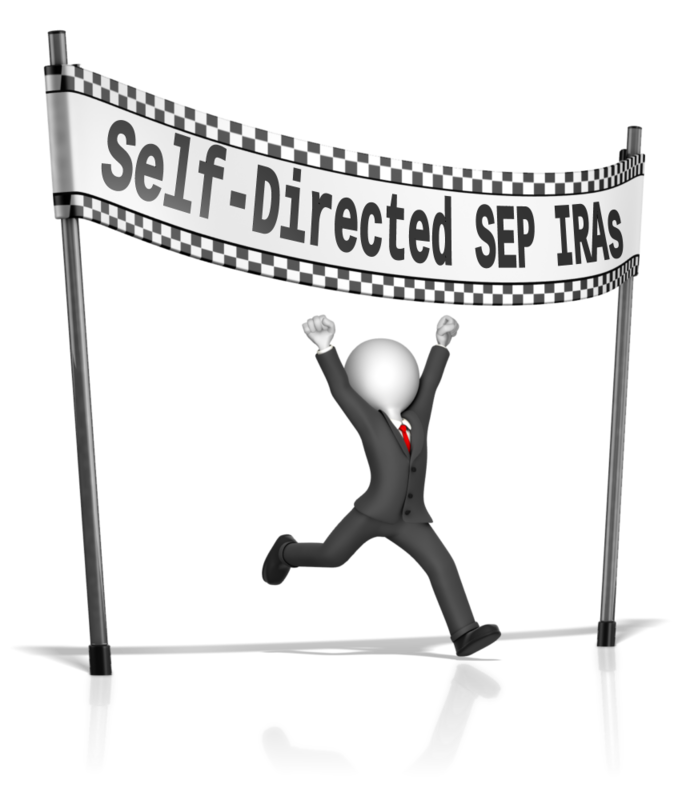 Who Should Consider a Self-Directed SEP IRA? You want a broader array of investment options than those available to you in an ‘off-the-shelf’ program. The current contribution limit is 25 percent of your total compensation for the year, up to a maximum contribution of $52,000. To learn more, simply log on to our website and enroll in one of our free, no-obligation webinars. We’ll walk you through all the basics. Or give us a call at 1-866-7500-IRA (472). We can walk you through the process and give you a personalized assessment for your own particular circumstances. Welcome back. In Tips for Improving Your RMD Process – Part 1 of 2, we shared some tips to help you improve the processing of your required minimum distributions (RMD). Remember these distributions are required whether your account is a Self-Directed IRA or not. Here are few more tips to help you with the RMD process. The required minimum distribution (RMD) rules do not apply to Roth IRA owners. As such, if you have assets in a Traditional IRA, SEP IRA or SIMPLE IRA and you do not want to withdraw RMD amounts each year, you can convert those IRAs to a Roth IRA. Caution: For a conversion to a Roth IRA other factors must be considered; primarily, whether a Roth IRA is more suitable for you. 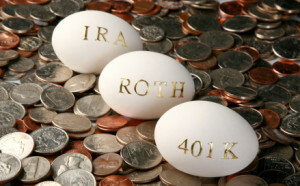 Ideally, a Roth IRA analysis would need to be done beforehand to determine suitability. Please contact us if you have questions about Roth IRA conversions. You can also rollover your Traditional IRA, SEP IRA and SIMPLE IRA to a qualified plan, 403(b) or governmental 457(b) so as to avoid being subject to the required minimum distribution (RMD) rules. Of course, this would work only if you are still employed by an employer that sponsors a qualified plan, 403(b) or governmental 457(b) under which you can defer beginning your RMD past age 70½ until retirement. Caution: If you are at least age 70 ½ during the year that you plan to convert amounts to a Roth IRA or rollover amounts to a qualified plan, 403(b) or governmental 457(b) plan, you must take your RMD for that year before doing the conversion or rollover. Failure to follow this rule will result in an ineligible conversion or rollover of your RMD amount, which could result in penalties being owed to the IRS if not corrected timely. Generally, your RMD for the year can be calculated as early as January 1. This provides you with sufficient time to put measures in place that would help to prevent missing your required minimum distribution (RMD) deadline. Most financial institutions allow IRA owners to schedule distributions in advance. For instance, if you want your RMD to be processed on November 15, you can submit the instructions as early as January 2. If you choose to do so, follow-up to make sure sufficient cash is available to cover your requested amount. Your RMD amount for the current year is determined by dividing the fair market value (FMV) of the IRA as of the previous year-end, by your distribution period for the current year. Your custodian is required to either provide you with the calculated amount of your RMD, or calculate the amount upon request. However, they are allowed to make certain assumptions that could result in the calculation being incorrect. For example, if you converted an amount to a Roth IRA last year and recharacterized the amount this year, the recharacterized amount must be included in the FMV for the Traditional IRA. However, since that amount was not in your Traditional IRA at year-end and would therefore not be reflected in your FMV, it must be manually added when doing the calculation. Your IRA custodian will usually use the FMV on record as of year-end, instead of making the adjustments, resulting in the calculated amount being less than your true required minimum distribution (RMD) amount. Ultimately, you are responsible for ensuring that your RMD calculation takes such adjustments into consideration. If a mistake is made, you would be responsible for paying the excess accumulation penalty. We highly recommend that you consult with a professional to help you develop the best course of action for your required minimum distributions (RMD). If you are at least age 70½ this year, you may need to withdraw required minimum distributions (RMD) from your retirement account regardless as to whether it is a Self-Directed IRA or not. However, while you may have no control over the minimum amount that you must withdraw, you can implement strategies to help improve the efficiency with which your RMDs are handled. You must withdraw required minimum distribution (RMD) amounts from your retirement accounts (including any Self-Directed IRAs you have) every year, beginning with the year that you reach age 70½. An exception applies to qualified plans, such as pension and 401(k) plans, 403(b) plans and governmental 457(b) plans. Under this exception, your employer can allow you to defer starting your RMD past age 70½ until you retire. This exception can only be made for individuals who do not own more than five-percent of the business that sponsors the retirement plan. Generally, your RMD for each year must be withdrawn by December 31. An exception applies for the year you reach age 70½ (or retire in the case of an employer sponsored retirement plan that allows you to defer your required minimum distribution (RMD) past age 70½ if you are still employed), which allows you to take your RMD as late as April 1 of the following year. If you fail to withdraw your RMD by the deadline, you will owe the IRS an excess accumulation penalty of 50 percent of your RMD shortfall. Note: The RMD rule does not apply to Roth IRA owners. If you have multiple Traditional IRAs, SEP IRAs and SIMPLE IRAs, you can take the calculated required minimum distribution (RMD) from each IRA, or you can aggregate the RMD for all of your IRAs and take the total from one or more IRAs. Aggregation of your RMDs can be useful if you have IRAs from which you do not want to make withdrawals. For instance, you may have an IRA with a specific amount that you want to leave to a certain beneficiary. In such cases, you would calculate the RMD amount for that IRA, but withdraw it from another Traditional IRA, SEP IRA or SIMPLE IRA. This RMD aggregation rule can be done for 403(b) accounts as well. However, it cannot be done for qualified plans. Caution: Regardless of whether you decide to aggregate your RMDs, you must calculate the amount for each IRA separately. If you have assets in a qualified plan, and you are still employed by the plan sponsor at age 70½, check with them to determine if they will allow you to defer beginning your required minimum distribution (RMD) until you retire. If so, that would allow you the flexibility to choose whether or not you want to defer making withdrawals until you retire. If you have assets in a 403(b) account or governmental 457(b) plan, you can defer your RMD past age 70½ until retirement. Watch for our next blog: Tips for Improving Your RMD Process – Part 2 of 2 for more tips to help you improve your RMD process. Self-directed IRAs allow you to take personal charge of your IRA holdings and direct your investment dollars into any number of non-traditional retirement account holdings – including real estate, private IRA lending, private placements, tax liens, precious metals, and much more. This can be an important factor in diversifying your retirement portfolio, or allowing you to pursue greater returns than you may expect in stocks, bonds, mutual funds and CDs. The good news is that the many benefits of self-directed IRA accounts aren’t limited to IRAs. The tax code also allows you to use self-direction within other popular small-business retirement plans, including SEP-IRAs, SIMPLE IRAs and Solo 401(k) plans (also called “individual 401(k) plans). Even if your income renders you ineligible to make deductible contributions to a traditional IRA, you can still make deductible contributions to these retirement plans – and in most cases, you can contribute a lot more than $5,500. Under the right circumstances, your tax deductible retirement account contributions can be as high as $51,000 in a calendar year. The SEP IRA, or simplified employee pension plan, is one of the more popular retirement solutions for small business owners. It is relatively easy to set up, and works extremely well for organizations with just one or two highly-paid principals. As of 2013, you can contribute up to 25 percent of your taxable compensation, or $51,000 – whichever is lower – into a SEP IRA, except for self-employed individuals (see below). Your business must contribute to SEP accounts for all qualified employees. Generally, a qualified employee is any employee who is at least 21 years of age, has worked for you in at least three of the previous five years, and who earned at least $550 during the year from you. You aren’t required to make company contributions to employee SEPs every year. However, if you do make any contributions, you have to contribute to everyone’s account that performed services for your company that year. To deduct a SEP contribution for a given tax year, you must make the contribution by the due date of your tax return for the year, including extensions. What About Schedule C Business Owners? Some self-employed individuals – the truly self-employed, as opposed to those who are owner-employees of their own corporations – assume that they cannot open a Solo 401(k) plan or other small-business retirement plan. This is incorrect: There is nothing in the law that prohibits you from creating and contributing to these plans, making fully tax-deductible contributions. If you file your income taxes using a Schedule C to report business expenses, you can still contribute to any of these plans. However, calculating your maximum contribution is a little different for self-employed individuals, because you must take into account the fact that you must pay self-employment taxes. In practice, then, after self-employment taxes are accounted for, most self-employed business owners can only contribute about 20 percent of your net Schedule C income into a SEP IRA. 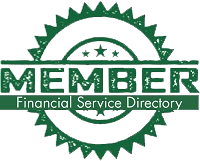 For more information on this or any type of self-directed IRA account, please feel free to contact American IRA, LLC via e-mail [info@americanira.com] or via phone [1-866-7500-IRA(472)], or visit our website [www.americanira.com]. All un-invested cash in y our self-directed IRA is FDIC insured. As a note, FDIC insurance only covers cash balances, not assets. All credit card transactions are safe — American IRA is certified by SecurityMetrics. All accounting is processed through a top-rated trust accounting system. We maintain professional insurance coverage, including a crime shield policy and an errors and omissions policy. All assets are vested in the client’s name at the time of purchase. American IRA, LLC for the Benefit of Client’s Name IRA. 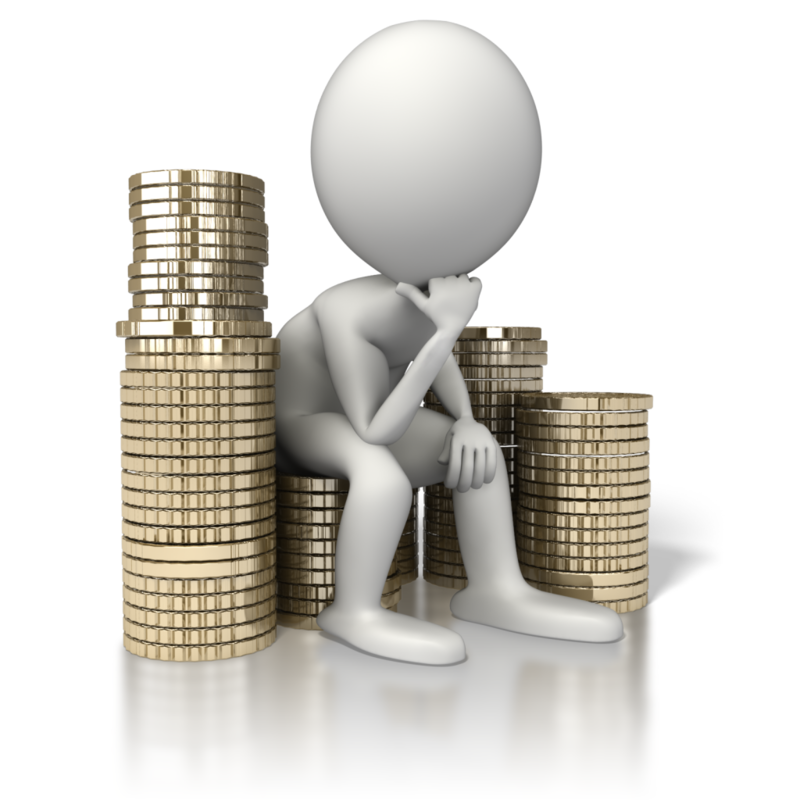 Investing within a self-directed IRA is completely within the investor’s control. Is it safe? Yes, to the extent that the investor controls it. Here’s something that’s overlooked many times when we’re talking about safety between the securities industry, and let’s say in this case we’re talking about the real estate industry. Each investment has its own characteristics as to safety. In the real estate investment arena, take a look at this example – $100,000 investment in 2000 inside a self-directed IRA in a single-family home. In 2013, the value doesn’t matter. The investor’s not selling the property. It may have gone up and it may have gone down. Here’s an absolute certainty. It had 12 years’ worth of rental income so far and it’s still free and clear, versus investing in securities, which are absolutely out of your control, out of the investor’s control completely or anybody else’s control for that matter. With $100,000 invested in 2000 in Washington Mutual Bank, the 2013 value is zero. Washington Mutual Bank was the biggest bank in the country when it failed in the early 2000’s. There is no guarantee in the securities industry any more than there is in the self-directed industry, but at least in the self-directed industry you have a way of controlling your risk by investing in what you know and understand, and you can do your own due diligence. Here are the types of investment accounts that you can utilize. It’s not just an IRA. The Self-DirectedTraditional IRA, which is the one you’d be familiar with, which allows for you to make a tax deductible contribution. The Self-Directed ROTH IRA on the far right is the one that you hear a lot about, which is the account that is absolutely tax free when the profits come out at the end. However, you do not get a deduction when you make the contribution. A Spousal IRA can be either a traditional or a ROTH. The way that works is that if you’re under 50, you’re only allowed to put away $5,000 a year. If you have a nonworking spouse, they’re also eligible for an IRA, either a traditional or a ROTH, and they too can put away the same $5,000. Another type of account is an employer based plan, which is a SEP IRA. If you’re self-employed, we provide servicing for SEP IRA Plans – Simplified Employee Pension plans – which is an employer funded plan. We also provide services for the simple, which is an employee funded plan with a contribution from the employer. The Self-Directed 401(k), which is a plan that’s for people who are self-employed – a sole proprietor, LLC or corporation – and for people who don’t have any common law employees, meaning that they don’t have anybody that’s on W-2 for greater than 1,000 hours a year. It can be a husband and wife that are in a business. It could be a couple of partners. The Solo 401k, provided you qualify for it, basically is a self-directed account on steroids. It gives you so many features and opportunities that are absolutely incredible. A Coverdell Education Savings Account is an account that you can put away for anybody. Typically it’s grandchildren or children. That too can be self-directed. You can put money away in a Health Savings Account, and that works in many ways like a ROTH. You put the money in there, except you get a deduction. You can pay your medical expenses out of it, and it comes out absolutely tax free and you pay the medical expenses. It’s a great tool. With the multitude of investment accounts available and the wealth of investment types allowed within those accounts, the sky really is the limit when it comes to what you can do with your self-directed retirement account. The Kit contains Detailed Instructions; a convenient checklist, the Account Application; and Fee schedule.